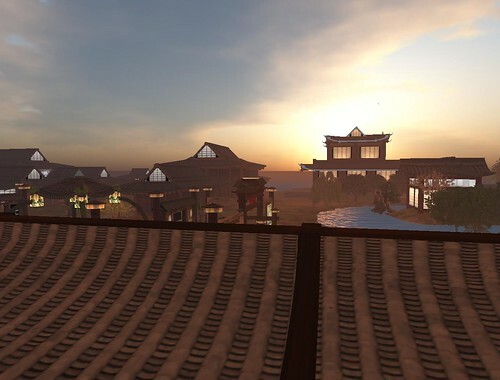 Although I consider the introduction of Linden Lab’s Homestead product a resolution to the Openspace Sim controversy, the reactions around the community seem to be split. Some people (including CodeBastard) disagree with my thoughts (and have slapped me), the consensus throughout the community is the introduction of the new product and changes is a reasonable compromise between the community wishes and Linden Labs needs. Two days before the announcement of Homesteads, hosts Dousa Dragonash and Dietrich Finesmith of Metaverse.tv MBC invited BNT CEO Intlibber Brautigan and I for a round table discussion of the Openspace issues. While some of the topics raised here are irrelevant, there are some that remain very relevant and I feel hold true and will continue to remain relevant to the future as hardware specifications and limits are completely defined.